The Aztecs called it ollamaliztli, to the Maya, it was pitz. The Spanish conquerors called it juego de pelota. The Mesoamerican ballgame, in various forms, dates back to at least 1600 BC, and is found throughout the Mesoamerican world. It originated among the Olmec people in the lowland jungle forest areas of Mexico where rubber for the balls was cultivated from the sap of the rubber tree. The protective equipment made of leather, wood, and cloth worn by ball players is long gone, and representations of the game and its equipment are all that remain. These take the form of stone or ceramic facsimiles (yugitos and palmas), as well as figures, such as the one seen here. 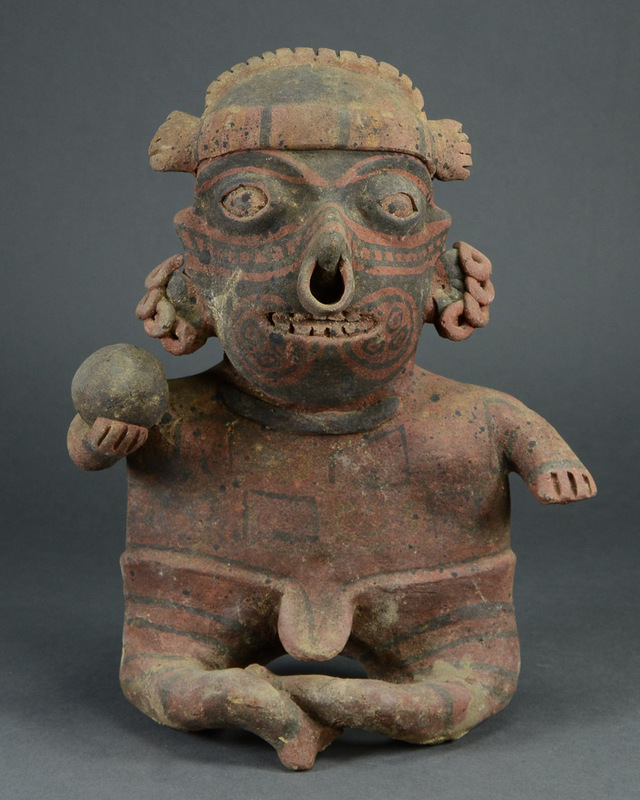 This ball player comes from the Ixtlan del Rio culture near Nayarit state in western Mexico. It depicts a seated figure and holding a ball, wearing the protective girdle, called a yoke, typically worn by the game’s players. 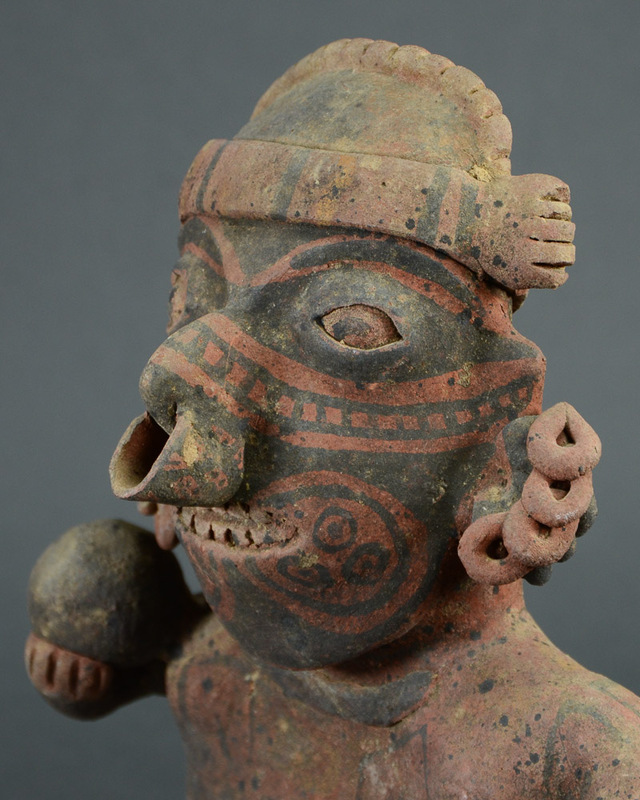 The figure is adorned with jewelry and displays the facial and body tattooing frequently seen in Ixtlan del Rio figurative sculpture.